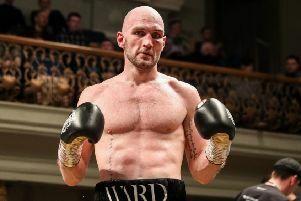 he 31-year-old is to meet his promoter Frank Warren, and is hoping for an attractive offer to fight on having concluded after losing to Warrington last month that he needed to retire. Since a family holiday in Dubai - spent partly with his trainer Jamie Moore - and conversations with others Frampton believes he remains capable of winning another world featherweight title. “After the fight I was done. “Immediately after the fight, ‘That’s me, I’m never going to box again’, so much so I said to my wife (Christine) ‘I’m done, I don’t want to do this anymore’. “But things have changed; my opinion’s changed. The fight wasn’t how it was meant to go; I didn’t carry out the game plan.